Archives and Special Collections collects, preserves, and provides access to rare books, archival records, and other special collections spanning from the 13th century to the present. Materials include unique and valuable books, archival and manuscript collections, oral histories, artists books, image and media collections, digital collections, as well as the Wood Collection of children’s books and Great Scots Collection of recent works by Macalester community members. Collections are made available for use in support of scholarship and the curriculum, and to document and preserve college history and institutional memory. Archives and Special Collections are available to members of the Macalester community and the general public by appointment–please Contact Us! Collections documenting the history of the college and the people, places, and events that have been part of Macalester from its 1874 founding to the present. Works that are rare, valuable, unique, or require special handling. Highlights include artists books, medieval illuminated manuscript leaves, signed and first editions, and the Diderot Encyclopédie. The children’s book collection is a legacy of Macalester’s relationship with the Miss Wood’s Kindergarten-Primary Teacher Training School from 1948 through 1978. 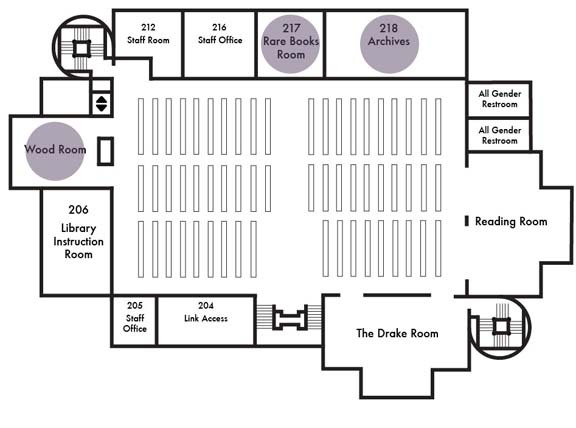 Located in the Harmon Room on the main floor of the DeWitt Wallace Library, the Great Scots Collection showcases recent scholarly as well as popular work by Macalester faculty, staff, students, and alumni.